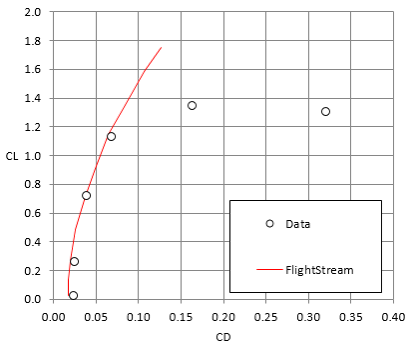 Validation of any numerical solver requires validation of experimental data. This is especially true in aerodynamics. Experimental and/or field test data is often scattered and not easily available even across the vast reaches of the Internet. 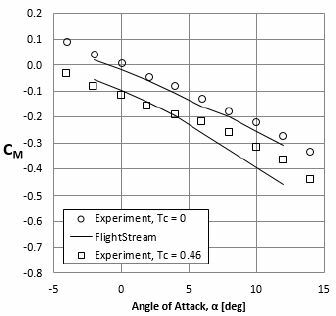 Numerical aerodynamicists across academia and industry are almost always in need of good validation test cases where the geometry, test conditions, fluid parameters and experimental reference parameters are known and defined. 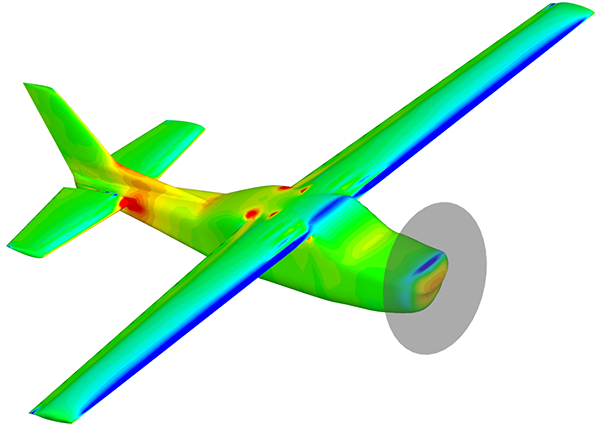 The FlightStream® solver has been validated for a variety of aircraft configurations. 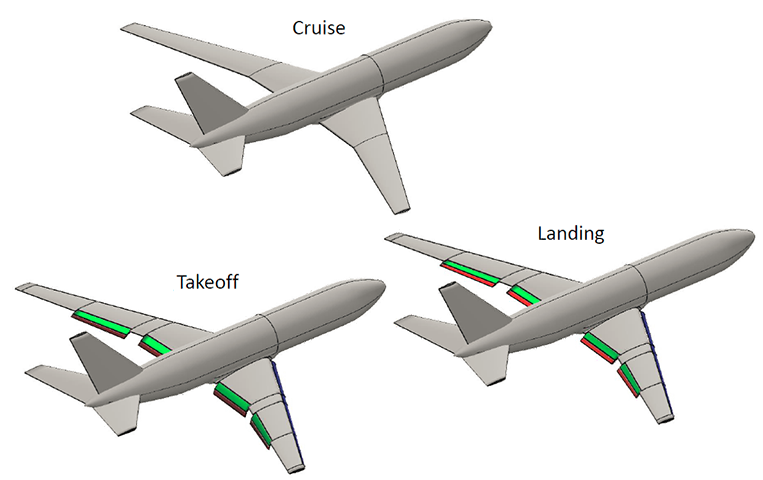 Each of the aircraft types presented cover a specific aerodynamic niche to provide a diverse set of validation studies. All of the data presented here is based on open-source journals and papers only (references added for aircraft data). The Tecnam P2006T is a modern aircraft design that encompasses organic lines and advanced aerodynamic features. It is also a design with wing-mounted podded engines. 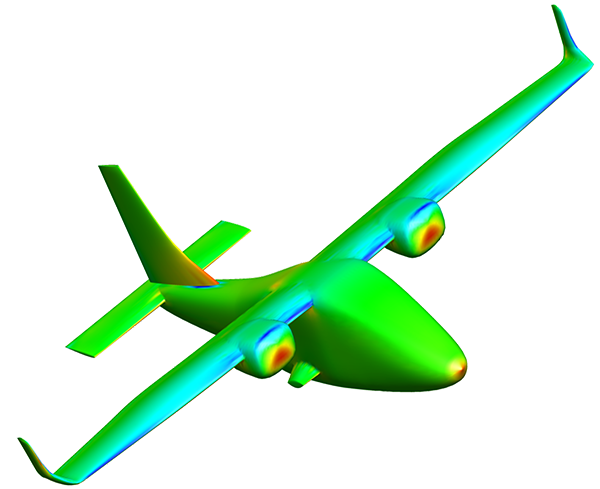 The combination of these features allows the P2006T to be used as a one-to-many validation case which evaluates FlightStream results for a variety of aerodynamic features in a single. 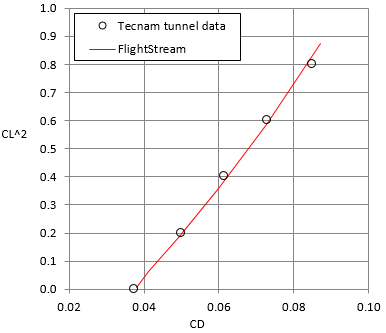 The model used in these validation studies and two of the validation plots, compared with Tecnam wind tunnel data, are shown below. 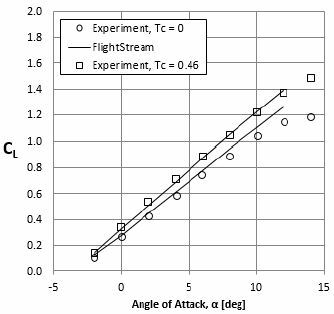 For this study, the model had roughly 18,000 mesh faces about the symmetry plane and the solver run time was less than 4 minutes for each angle-of-attack data set on a standard quad-core laptop. 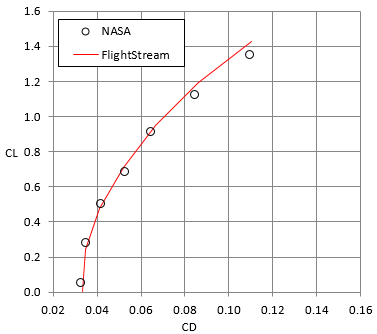 The Cessna 210 model with the NASA NLF(1)-0414F airfoil wing is a standard validation case for FlightStream®. 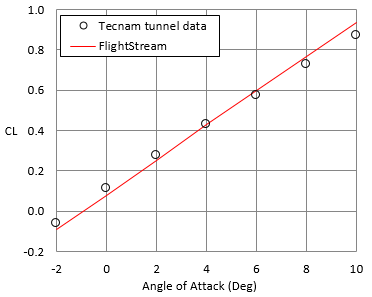 The NLF(1)-0414F airfoil is an advanced airfoil design that sheds light on the ability of the FlightStream® solver to model the flow over advanced airfoil shapes. 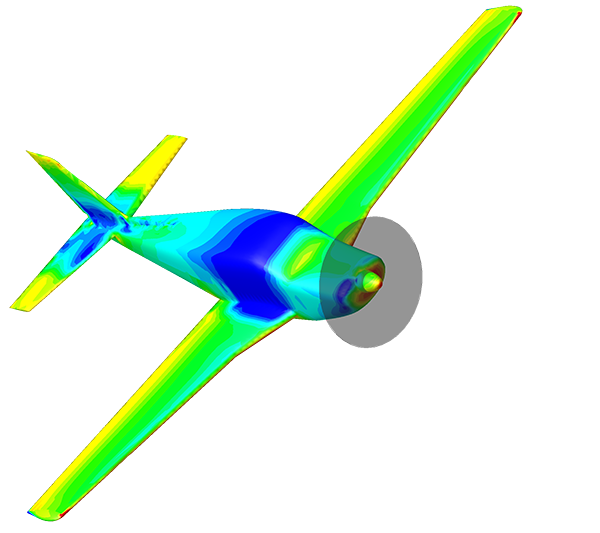 Additionally, the effects of the single propeller on the nose of the aircraft are modeled using the propeller actuator, which simulates the correct effect on the wing and horizontal stabilizer. 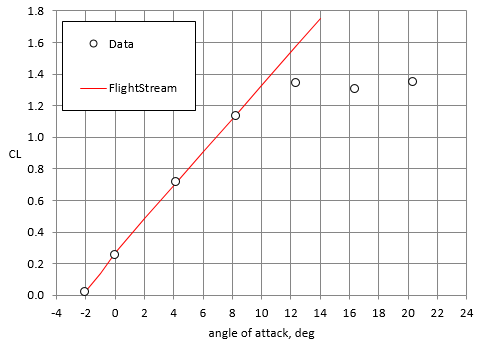 The solver run time for each angle-of-attack result is less than 3 minutes on a standard quadcore laptop. The NASA E.E.T. geometry serves as a practical high-lift geometry case for validation of the FlightStream® solver under challenging flow conditions. The E.E.T. AR-12 model was used by NASA Langley Research Center to conduct an independent validation of FlightStream® under three different conditions: cruise, take-off (flaps and slats deployed) and landing (flaps and slats deployed). 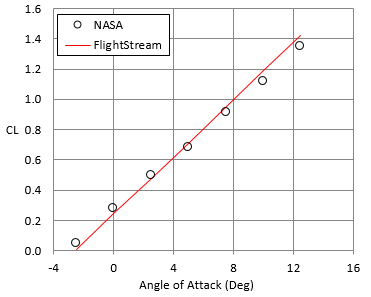 The NASA study was presented at the 2015 NASA OpenVSP workshop in Langley, Virginia and presented at the AIAA SciTech conference in 2016 (AIAA-2016-0779). The E.E.T. AR-12 is a standard validation model for enhancements in the vorticity solver for high-lift flow scenarios.